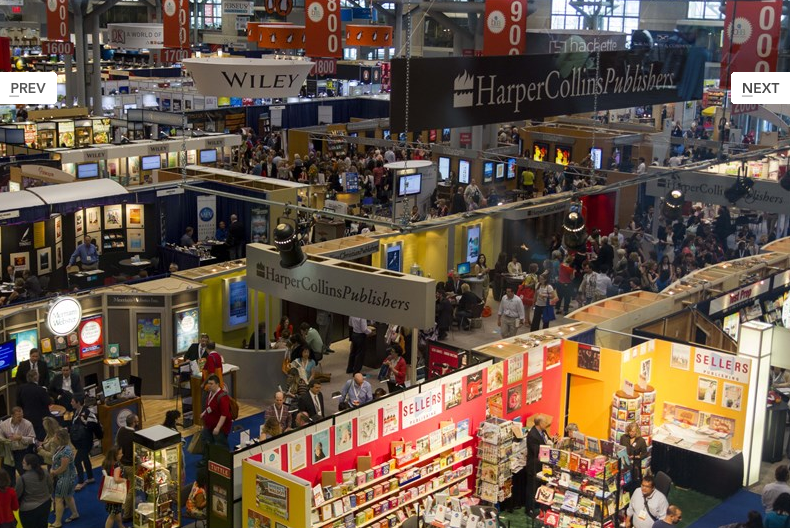 This year’s annual convention of all things publishing was held at the Javits Center in New York City from May 31st through June 1st. 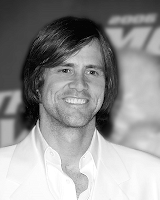 A few things set it apart from other years’ events. The show seemed a bit smaller this year, more compact, with booths, meeting rooms, even shipping condensed into the center’s massive main-floor rooms. There were plenty of authors and books around, of course. There’s a new Scott Turow legal thriller coming. A new Jacqueline Mitchard in the YA space. A new seven-novel series from a British woman who’s just 20 and already is making global buzz. And about 27 new James Patterson novels (a slight exaggeration, perhaps). Advance copies were everywhere, and so were authors. I spotted a few: Turow, Mo Willems, Doris Kearns Goodwin, Chelsea Handler and Lemony Snicket. I heard Donna Tartt was there; her third novel is coming soon. Wally Lamb, too, and Diana Gabaldon. Amy Tan, who has a new novel coming this fall. Jim Carrey, in a mode I can only call manic but gracious, greeted a mob of thousands on day two, then another, smaller mob on day three. Even his smaller group was pretty massive, and he had more bodyguards and crowd control than anyone in recent memory. Jessica Lange was there, radiant as ever. Jim Gaffigan spoke for a bit, then signed copies of his book. I attended a breakfast (along with a thousand other people, including fellow January contributing editor Ian Buchsbaum) where Octavia Spencer, Oscar-winning actress from The Help, spoke about how books were her first love; she’s written one for young readers. Fellow panelists included Mary Pope Osborne, who shared letters she’s received from kids who have loved her Magic Tree House series and spoke about how important it is to get young people to read. Rick Riordan was hilarious, speaking about the road from school teacher to novelist. And Veronica Roth spoke brilliantly about the importance of reading with the right attitude: to learn. Day three of this year’s event was open to the public, which is a new wrinkle for this trade-only trade show. There was something kind of wonderful about sharing this usually closed space with people off the street. They came from near and far, each there to feed their desire for books. I saw packs of friends, whole families, and many wandering singles, all with bags of books in hand, all marveling at this world where books happen. In the end, I think, they weren’t that different from everyone else at Book Expo every year: they’re curious, they love the written word, and they crave a new adventure.